The Centerville-Washington Park District has acquired another high-quality natural habitat for residents to enjoy. 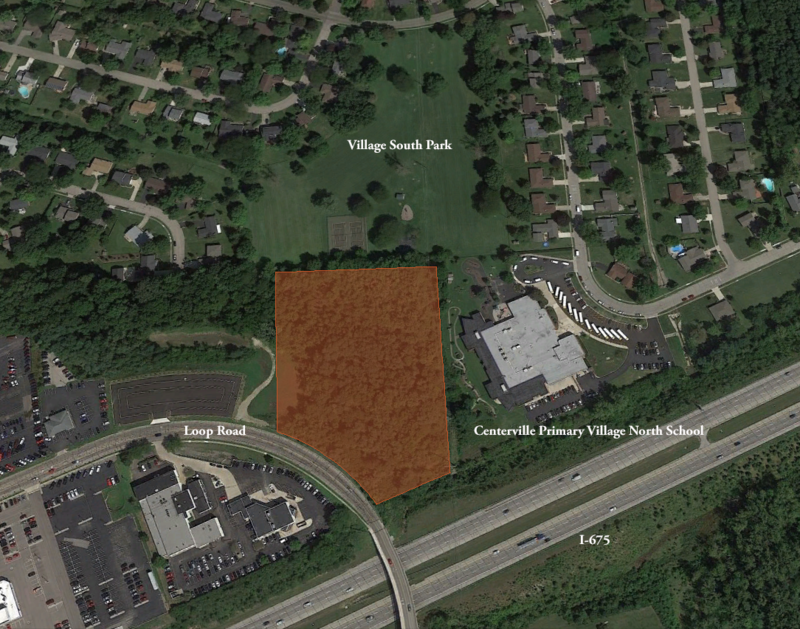 The 6.7-acre parcel of land is located on Loop Road, adjacent to Village South Park, a property managed by the Park District. The new land expands the existing neighborhood park to over 17 acres. The park land borders Centerville Primary Village North School, allowing for expanded environmental education opportunities for their students. While the land will remain undeveloped, the Park District will remove invasive plant species, such as honeysuckle, and will remove dead or dying trees from the property. The Park District received a $94,065 grant from the Clean Ohio Fund—Green Space Conservation Program to cover 75% of the acquisition price. The land was purchased from the Voss Automotive Group. The Park District considered community feedback and internal rankings of undeveloped land before deciding to acquire the property. As part of a community survey in 2015, Centerville and Washington Township residents were asked if they believed the Park District should acquire more land. A majority of those surveyed supported further land acquisitions. Residents ranked the top six priorities for any new acquisition as preservation of natural areas, providing more trails, adding neighborhood parks, protecting wetlands and waterways, and expanding existing parks. “This parcel of land complements the Zengel Pleasant Hill property purchase of September 2016. These two acquisitions preserve rare, wooded habitat right in the center of the community,” said Arnie Biondo, the Director of the Centerville-Washington Park District. The Zengel property is a 32-acre parcel of land located approximately one mile from the newly acquired land.